Jennifer is a natural when it comes to customer service. Before joining the Neddenriep Financial team she enjoyed a career in real estate and appraisal quality assurance. She moved to the Carson Valley in 2016 with her two dogs. She was Originally from Ohio, but she has lived in Arizona, Maryland, Connecticut, and most recently Bishop, California. 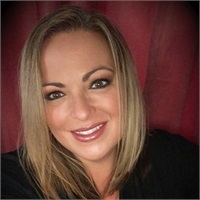 Jennifer started working for Neddenriep Financial in June 2018. She is embracing the opportunity to work with Mark and Jonel and looks forward to doing her part to help these financial planners pursue your goals. She enjoys the beautiful northern Nevada skies in Carson Valley and Minden. When she isn’t on the clock you can find her exercising her creativity making vinyl decals or jewelry, checking out the drag races in Vegas, and spending time at Lake Tahoe.